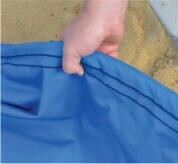 Save the cost of maintaining jump pits with pit covers! Heavy-duty ArmorMesh allows for water penetration and keeps out debris. 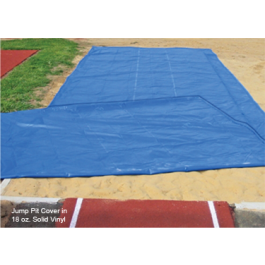 Save the cost of maintaining jump pits with pit covers! Our weighted jump pit covers are easy to install and protect your jump pits from weather, foot traffic and debris. 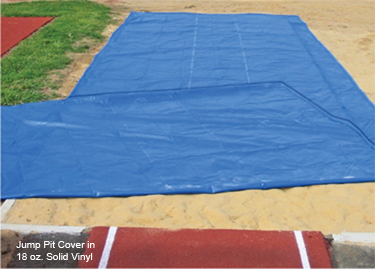 A long jump pit cover can also keep the sand from blowing during periods of high wind. Heavy-duty ArmorMesh allows for water penetration and keeps out debris. Weighted around perimeter - requires no sandbags or stakes.